Welcome to Kinetic Multisports and the Race for the Kinetic Cup! All races produced by our team and hosted on this website will be scored for series points with the exception of the Liberty Triathlons. Now with 50 races in 5 states, there are more racing options for more athletes to win a spot on the Kinetic Cup! Individuals who compete in a minimum of 5 scored events in the same category are eligible for series awards (Novices, Relays are not scored). New in 2018 Aquabike and Duathlon we will have overall and masters overall scoring. For any scored event in which one receives a “disqualification” (DQ) or a “did not finish” (DNF) one will receive zero (0) points. For an event to count towards ones 5 scored events one must complete the swim portion at minimum. Remember – only the 5 HIGHEST scores in the series are counted together. There is a column in the standings that is called “count”. That number is the number of scored events that person has competed in. 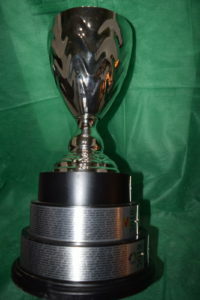 You must compete in at least 5 Kinetic Multisports events to qualify for the Kinetic Cup series awards. Also, remember events competed in as Novice or Relay are NOT scored or counted towards series scoring or prizes. 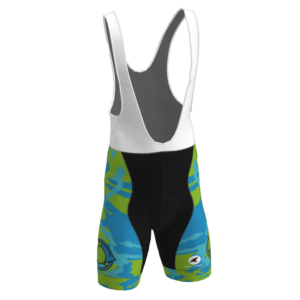 Duathlon and Aquabike will be scored with awards going to the top 5 overall and top 5 masters overall in these categories, but they do not count towards the triathlon category and are not eligible for the Overall Cycling kits. Qualifications Rules and Stage Qualifiers! 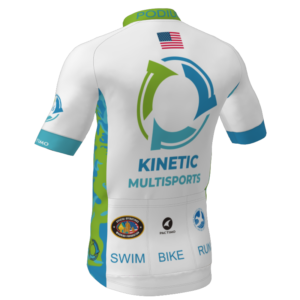 The Top 5 Overall Men & Women in the Triathlon Series (not age group, aquabike or duathlon) and Top 5 Overall Masters Men & Masters Women in the Triathlon Series (not age group, aquabike or duathlon) will be awarded custom Pactimo Kinetic Multisports Cycling Jerseys & Bib Shorts! 2018 Overall Winners Jerseys pictured! Any athlete who participates in a minimum of five (5) 2019 Kinetic Multisports events will qualify for Kinetic Cup Series scoring qualifier rewards. Stainless Steel Blue Bottle at Packet Pick Up! 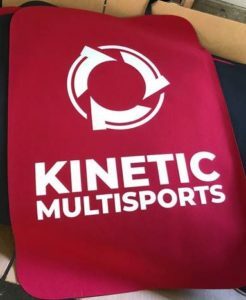 Stage 2 Qualifier: Q5 Any athlete who participates in a minimum of 5 Kinetic Multisports events will receive a custom Kinetic Multisports Series Qualifier Custom Transition Mat at Packet Pick up. This is also the minimum number (5) of events needed to QUALIFY for Kinetic Cup Series awards. 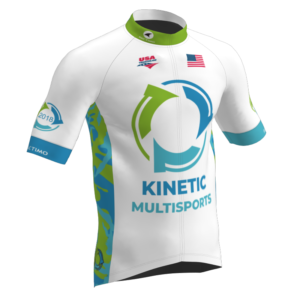 Stage 3 Qualifier: Q10 Any athlete who participates in a minimum of 10 Kinetic Multisports events will receive a custom Kinetic Multisports Qualifier Jacket! (Your custom jacket will be mailed to you after the season). 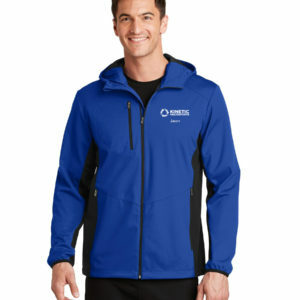 Pictured is the 2018 Q10 Jacket, this jacket is different each year. Read more about the USAT Rules.